Electrical engineering is a rapidly developing field that requires a broad range of knowledge, starting with basic, closely related areas such as mathematics and physics, then extending to mechanics, chemistry, construction, and medicine. The main educational goals of the graduate program in electrical engineering are to deepen students’ specialized knowledge, based on material already learned in undergraduate courses, and to foster adaptability, creativity, and international leadership through research activities. The Department of Electrical Engineering is one of the oldest Departments, founded in 1928, by Professors Koutaro Kujirai and Matsujiro Ohyama from the University of Tokyo. The Department’s mission is to provide students with the full knowledge of modern electrical engineering in order to explore the latest frontiers in the field. The Graduate program of Electrical Engineering was established in 1951, aiming for extensive development of the undergraduate program and providing students basic as well as intensive research on specialized subjects. 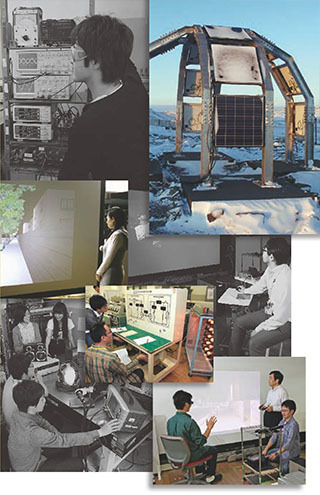 To achieve these goals, the program is divided into five sections: 1) Energy and Environmental Engineering, 2) Information and Optical Communications Engineering, 3) Electronic Measurement and Digital Image Engineering, 4) Electronic and Acoustic Applied Engineering, and 5) Electric Materials and Laser Engineering. Through these courses, the program addresses diverse student needs while ensuring that instruction and research are carried out effectively. Students’ research results are often presented at scientific meetings. Graduates of the program are highly regarded, moving on to enjoy active careers as researchers and engineers.